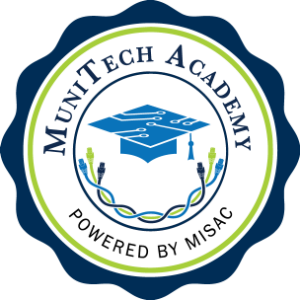 MuniTech Academy wants to ensure it is offering educational & professional development opportunities of interest to MISAC members & partners. Similar to Groupon.com, we offer courses based on our community's demand. The higher the demand, the better our discounts will be. Please take a couple minutes to let us know which training opportunities interest you the most (or if there are any others you want that are not listed here). Thank you! Please enter some basic contact information so we can follow-up regarding these training options. Thank you! Which of these courses/workshops interest you the most? Please select 3-5 maximum, and please feel free to use the "Other" option. What part(s) of the year do you prefer for training?